Just like American-Chinese food here, Korean-Chinese food is also very popular in Korea. This is called 'Nanjawanseu' in Korean-Chinese menu and considered fancy. 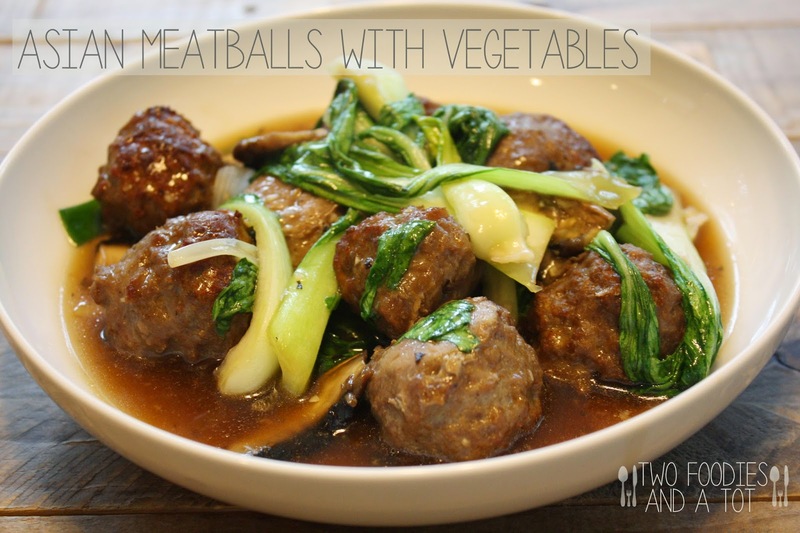 But really, it's just meatballs and vegetables with sauce. Perfectly soupy sauce to go over some rice. 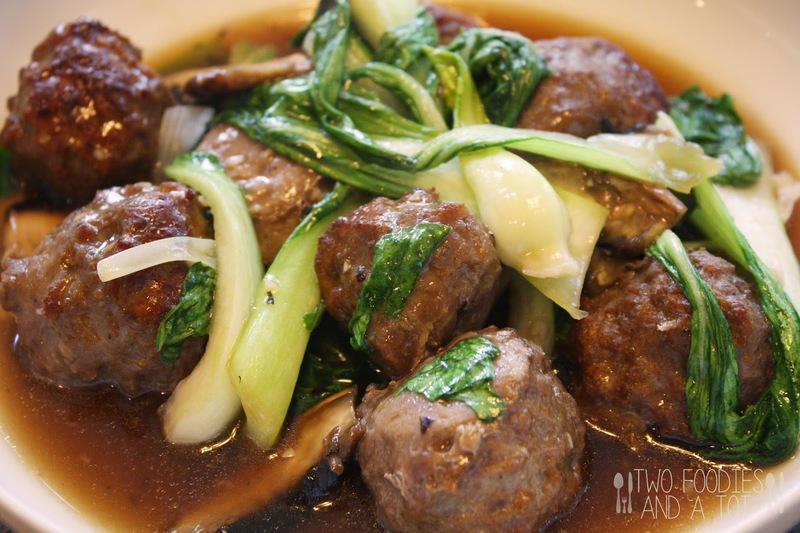 When I make meatballs with all beef, I find it a little dry so I usually mix with some pork but I used organic grass fed ground beef for this, it was so tender. It almost melted in my mouth. What a difference it makes. But if you can't get to it, meatball blend will do the trick too. 1. Add all the meatball ingredients in a large bowl and mix well. Make about 1.5 inches meatballs and broil for 15 minutes. 2. Make the sauce and set aside. 3. In a large skillet or a wok, heat vegetable oil. Saute garlic and add scallion, mushroom and bakchoy to it. 4. Add sauce and bring it to boil. Add meatballs to it. Once it starts to boil again, mix water and corn starch and add in. Stir. Serve immediately.